A special thanks to our long-time friends at Allstate Sugar Bowl for their commitment to amateur athletes across Louisiana and their continued support of Louisiana Soccer Association. The Louisiana Presidents Cup is the culmination of a full year of play in Division 2 of the LCSL, and Division 1 of the LCSL in the 15U and 17U age groups (LPDL years). Teams will be seeded according to their LCSL results. There will be a Preliminary weekend and a Semi-Finals / Finals weekend. Group formats in each division will depend on the number of participating teams. 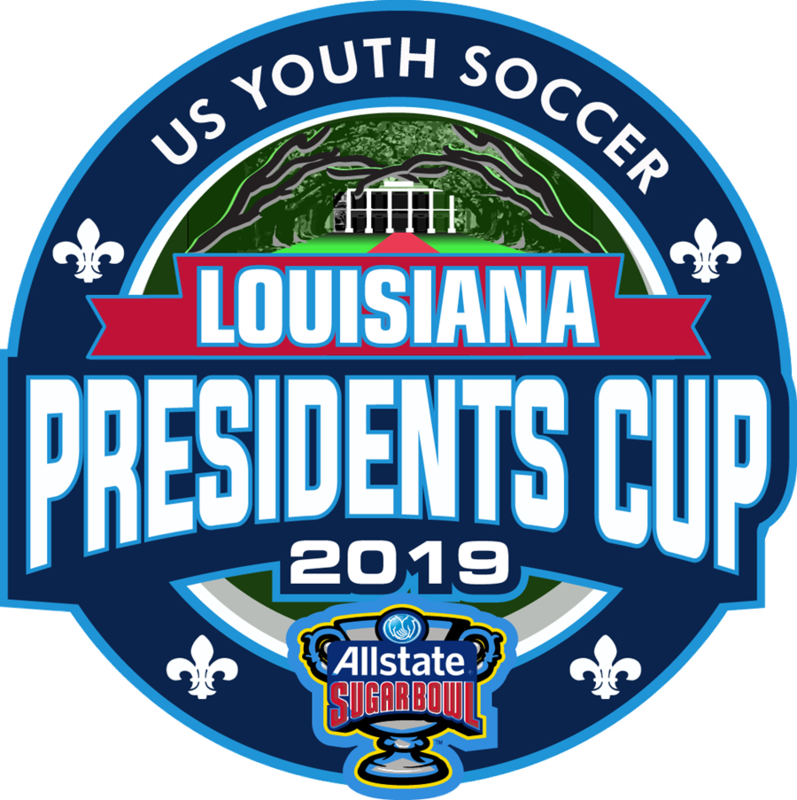 The winner of each age / gender group in the Louisiana Presidents Cup in the 13U-18U age groups will represent Louisiana in the US Youth Soccer Southern Presidents Cup in Round Rock, TX June 11-16. 1st Place teams at the Southern Presidents Cup will represent Louisiana and the South Region at the US Youth Soccer National Presidents Cup in Murfreesboro, TN July 10-14. 2. Registration Confirmation Form. After registering your team through GotSoccer above, each team must submit their Registration Confirmation Form to their Club for appropriate signatures. 3. Club Transmittal Form. The Club will then submit the Registration Confirmation Forms for ALL of the Club’s teams in a single package along with a Club Transmittal Form and a single check for payment of all teams. Teams participating in any Louisiana State Tournament must make their hotel accommodations through our partners at Anthony Travel. Teams must not call hotels directly or use a different travel service or agency. By booking all of our state tournament teams together, LSA is able to negotiate lower rates and benefits for our soccer families. To book rooms for the The State Cup go to the LSA State Tournament page on the Anthony Travel website.